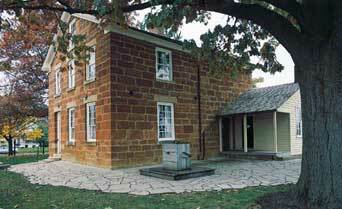 In the late afternoon of that sticky June day, Joseph Smith lay broken and bleeding beside the foundation of the Carthage Jail. Though few people knew he held the secret, self-imposed scepter of king, the fact that he had been in the race for the United States presidency was common knowledge. But Joseph Smith did not look like a ruler that day. Events which had intensified during the first half of 1844 had brought the Prophet to his ignoble end. In January 1844 Joseph Smith had been privately nominated by his Apostles to run for president. The Saints at Nauvoo voted nearly unanimously to support this political move. By spring Mormon proselytizing missions in the U.S. had been suspended. Instead, hundreds of political missionaries were sent out to campaign for Joseph. Smith’s efforts at international diplomacy proved he was serious. By early June LDS ambassadors were strategically in place in England, Texas, Washington, D.C., France and Russia. The thousands of Mormons in Illinois generally voted as a bloc. This concerned non-Mormon citizens because the Mormons virtually held the key to the state’s national politics. To the people of Illinois, Joseph’s campaign for president was no small matter. Meanwhile, hidden from the public eye yet inextricably bound to his politics, Joseph Smith began organizing the Kingdom of God on earth. At a church-wide conference a veiled announcement was made about Mormonism’s new government: “When God sets up a system of salvation, he sets up a system of government;…a government that shall rule over temporal and spiritual affairs.” The Council of Fifty operated under the presumption of ultimate power, believing they had the authority to set aside and live above the laws of the U.S. and all other secular governments. A sympathetic historian wrote in 1994: “Smith realized that Council of Fifty members had betrayed him. He could not allow the Expositor to publish the secret international negotiations masterminded by Mormonism’s earthly king.” Therefore, on June 10 the Nauvoo city council, Mayor Joseph Smith presiding, decided to destroy the Expositor and its press as “a public nuisance.” Twelve days later Joseph deserted his city and his people in an attempt to escape the consequences of his treasonous actions. However, being accused of cowardice by his friends, Joseph returned to Illinois and entered Carthage Jail. On the morning of June 27 Joseph sent an order to the commander of his Nauvoo Legion instructing him to lead an immediate attack on Carthage in order to free the prisoners. At about 5:00 p.m. the frightened jailer informed Joseph that more than 250 men were approaching. The Prophet replied, “Don’t trouble yourself [–] they have come to rescue me.” But Joseph was mistaken. 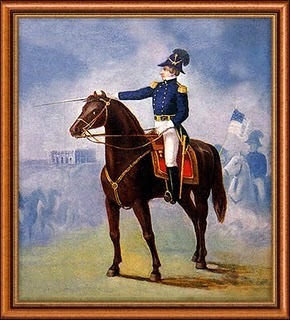 The Nauvoo Legion didn’t come; its Major-General refused to obey the attack order because he knew such action would bring civil war and destruction on the citizens of Nauvoo. As the mob overtook the jail gunfire erupted and within minutes Mormonism’s king was dead. So ended the presumptuous ambitions of Joseph Smith the Prophet. Every June as Mormons around the world remember the death of their Prophet, Christians are able to joyously proclaim that Jesus Christ, the true and living Prophet, Priest and King, reigns now and forevermore! This article is reprinted from the Summer 1995 issue of A Word in Season (newsletter of Word for the Weary). This entry was posted in Early Mormonism, Joseph Smith, Mormon History, Nauvoo and tagged Carthage Jail, Church of Jesus Christ of Latter-day Saints, Joseph Smith, Martyrdom, Mormon Church, Mormon History. Bookmark the permalink. I sat in the “murder room” of the jail right next to the window that Joseph Smith tumbled out of. I have pictures of the jail on my smart phone. The sweet little tour guide, as sincere and devout as they come, was trained well to create an ambiance as she told the story of the prophet being martyred in this room in the jail. My wife and I were the only non-Mormons on the tour. I decided to ask the devoted followers of Smith what the events were that led to Smith’s incarceration. Well of course the Saints were being persecuted and the charges of treason were trumped up etc. I repeated, “What were the precipitating events leading to Joseph Smith being jailed?” None of them knew and I meant the question as a way of getting them to begin to think………..even a little. I didn’t tell them for a variety of reasons one of which is I had no desire to start an argument in the “murder room”. What it all boils down to is this, a false prophet was put to death. The bible does tell us god raises up people and takes them out. At this point Smith was totally out of control. He had seduced at least 33 women into his sexual fantasy, he was a megalomaniac and totally left unchecked by anyone. When William Law called him on it, the power mad prophet couldn’t stand it and had his printing press destroyed. In short, Smith was on a real bender. He even had his own avenging angel who shot the former governor of Illinois. Smith sent him to “fulfill prophecy”. This is a hard pill for most LDS members to swallow. They deny it, rationalize it or “put it on the shelf” with everything else. There are sects of Mormonism that view Smith as a fallen prophet. Everything he produced/did after the Book of Commandments is seen as false. They need to back up a little further and include the BoM and Smith’s fictitious first vision. The first time I read 2 Thessalonians 2 after starting to study mormonism, I almost fell out of my chair! (specifically verses “4 who opposes and exalts himself above all that is called God or that is worshiped, so that he sits as God[c] in the temple of God, showing himself that he is God.”and “9 The coming of the lawless one is according to the working of Satan, with all power, signs, and lying wonders, 10 and with all unrighteous deception among those who perish, because they did not receive the love of the truth, that they might be saved. 11 And for this reason God will send them strong delusion, that they should believe the lie, 12 that they all may be condemned who did not believe the truth but had pleasure in unrighteousness.”) In April, JS exalts himself to sit in a temple showing himself as God (or even a possible god) and in June he is taken out! I’ve always said, there is only so much bs God is gonna take. If you’re lucky, He will break you so that you see He is God, so you can not be, and you submit to Him for salvation and reconciliation. If you’re not, He sends you straight to the original perpetrator of the lie that man can be like God; “4 Then the serpent said to the woman, “You will not surely die. 5 For God knows that in the day you eat of it your eyes will be opened, and you will be like God, knowing good and evil.” Genesis 3:4-5.
kingdom ? That’s the Mormon claim ? That’s Jesus’ church and gospel restored ? No thanks . I’m stickin with true apostles , those in the New Testament . their lives is even worse news . freedom . It’s all about Jesus . Although it would be interesting to see if Joseph Smith, Jr. actually asked people to worship him as God. I think the preceding article only states that JS, Jr. intended to create a theocracy with him as the ‘king’. Can you find any documented evidence where JS, Jr. asked for recognition as a God or for worship? Grindael, feel free to jump in here, if you have that info. I think what really upsets Mormons when they discover this stuff is it’s so upsetting because it’s at such variance with the LDS narrative. Here’s this larger than life figure, the prophet Smith, who was so valiant and true, righteous, holy and called of God and he turns out to be a reprobate. No wonder they do anything possible to try and protect the fantasy. What do you do; where do you go when it’s over? What the Mormon people need to understand clearly is that rejecting the LDS religious system is not rejecting God. God stands with His arms wide open to receive all those who would call on His name. The LDS religion proposes a false prophet who presented a false god. This “god” cannot save anyone because he doesn’t exist. If any Mormon reading this would learn to trust the Bible, it’s there that you will find the revelation of the Living God and His Christ. I think making himself king over “God’s people” and the fact that they have multiple hymns that sing praise to JS that are still sang in meetings, and that their testimony is built on what JS did (being a prophet and restoring the church) not what Christ did (I know they testify that Jesus is the son of God but they don’t talk about what he did…ya know dying to pay the debt for each and every one of their sins). So I don’t know if there is any place where JS stated specifically that he was to worshipped I’d say he implied it and his followers inferred it. Well in LDS lore, Smith would be a god today. Besides that, each Mormon male achieves godhood by earning it themselves. The concept of grace is peculiar in the Mormon system of becoming a god and bears no resemblance to the Biblical message of salvation bought by the blood of Jesus and not earned but is a gift/grace received through faith. This is totally foreign to your average LDS person who is knocking themselves out everyday hoping to grab the brass ring. They cannot conceive of the idea that God imputes righteousness to us, that we can never achieve God’s standard on our own. Our attempts at moral and righteous living is motivated by our thankfulness to God for what He has done for us. Through one man sin entered the world and through one man the debt was paid. We receive, we don’t earn. A gift is not earned. I don’t behave myself because I’m afraid if I don’t I’ll lose my salvation. I’m already saved. The process now is one of sanctification which is also a process of God’s grace. Should we continue in sin that grace might abound. May it never be! How can we who have died to sin continue in it? I know it is no small issue for a faithful member of the LDS faith to begin to consider that maybe, just maybe Mormonism is not true. Grant Palmer talks about his Ah-Ha moments where he began to question the authenticity of Joseph Smith’s religion. There is so much there for a Mormon to ponder. But let me make a suggestion. Perhaps instead of delving into all of those issues that call into question the veracity of the Mormon narrative, maybe it’s better to start by reading the NT. Of course that would mean taking into consideration the LDS claim of a corrupted Biblical text is wrong and think that maybe the Bible hasn’t been corrupted. Here’s a question. Would God allow His Word to be corrupted? Would God allow His Church to vanish from the earth? Having given the Holy Spirit to the Church on the Day of Pentecost, with power and authority, why would God allow Satan to remove it? Jesus said that wouldn’t happen. He said the gates of hell would not prevail against His Church. Each believer, when they are born again, becomes the temple of the Holy Spirit. There’s no value in going to temples made by the hands of man to practice man-made rituals that have no power and no authority. I always thought it was significant that Joseph declares God is a man, even an exalted man, and less than three months later he is killed. I agree that God seems to have a limit before He makes His opinion known, forcefully. Wow I never heard that JS said he was king over Israel. That is just horrible. cattyjane………………..you will find this interesting. The great aim of Joseph Smith was evidently to clothe himself with the most unlimited power, civil, military and ecclesiastical over all who became members of his society…. [He stated] that God had revealed to him, that the Indians and Latter Day Saints, under Jo[s]e[ph] as their King and Ruler, were to conquer the Gentiles, and that their subjection to this authority was to be obtained by the sword! From this revelation, he enforced upon them that it was necessary he should be crowned King, and … was accordingly CROWNED KING under God, over, the immediate house of Israel. This ceremony was performed in 1842 , by a council of fifty…. [That] the whole earth was to become under subjection to him…. accordingly Jo[s]e[ph] swore them all to present secrecy, under the penalty of death. It is also a fact, ascertained beyond controversy, that the Indian tribes of Sacs and Foxes, Sioux’s and Pottawattamies, were consulted, and their assent obtained previous to the mock crowning … and that delegates were sent to Nauvoo from each of the above tribes about the time of the ceremony being performed [on April 11, 1844], by the council of fifty. These delegations of Indians were seen by hundreds and hundreds at Nauvoo, but the object of their visitation never was ascertained without the pale of the church, until secessions commenced taking place from the Mormons. claimed authority but what they taught exhibited was only a man made organization and gospel. of the latter days just like Jesus predicted would come — Mk 13:22,23 .
secret temple rituals , no latter day prophet at the top as God’s mouthpiece and earthly king . Just JESUS ! Jn 14:6 ; Heb 7:25 . Satan did not lie when he told Eve “For God knows that in the day you eat of it your eyes will be opened, and you will be like God, knowing good and evil.” (Genesis 3:5). If you read further in the chapter God, Himself said “And the Lord God said, Behold, the man is become as one of us, to know good and evil” (Genesis 3:22). To reiterate that, God said that man has become like Him gaining the ability to know good from evil. This is exactly what Satan said would happen if they ate from the tree of knowledge of good and evil. Adam and Eve gained the ability that God has to determine good from evil by partaking of the fruit. It does not connote anything about man becoming gods, just that they gained a divine attribute, similar to the divine attributes they were created with when it states that they were made in God’s image and likeness (Genesis 1:26). God promised Adam and Eve that if they partook of the fruit of the tree of knowledge of good and evil that “in the day that thou eatest thereof thou shalt surely die” (Genesis 2:17). What did Satan say to Eve? – “And the serpent said unto the woman, Ye shall not surely die” (Genesis 3:4). After they partook of the fruit, what did God do? – “He placed at the east of the garden of Eden Cherubims, and a flaming sword which turned every way, to keep the way of the tree of life” (Genesis 3:24) so that Adam and Eve could not “put forth [their] hand, and take also of the tree of life, and eat, and live for ever” (Genesis 3:22). So the lie Satan told in the garden was that they would not die, nothing else. Ralph as a Mormon you are stuck following a false prophet. Like all aberrant or cult like religious groups, Mormons have a very distorted manner of Biblical interpretation. In fact, the Bible is not all that valued since Mormons believe the text is corrupted. The lie is that Mormons have bought into this idea that what their prophets say has more weight than God’s revelation, the Bible. That’s why you are so easily influenced and led down a path of destruction. I think what keeps you in the Mormon fold Ralph is that you believe you have had some sort of spiritual experiences. If your spiritual experiences don’t support the truth of God’s revealed truth, the Bible, and in fact if your sect denigrates God’s Word, than your spiritual experiences are false. They can be easily created within your soul. I would suggest that you put away your spiritual experiences which you feel support your false religious doctrine and humbly and sincerely acknowledge God’s Word and in it find the truth about Him and His plan of salvation. There is nothing I said that disagrees with what is found in the link that you’ve posted except that they state Satan told Eve 3 things – 1) They will not die; 2) they will become like God; 3) They will know good from evil: then they say that 2 out of those 3 things were lies the other was a truth, but over all since he lied the whole thing was a lie including the last point. Whereas I said Satan told the 2 things – 1) They will not die; 2) they will become like God knowing good from evil. Then I showed where God said that Adam and Eve had become like Him knowing good from evil. This last quote was not dealt with in the link you’ve posted as they treated the 2 parts separately. Did Satan lie to them? Definitely. Was the whole statement he made a lie? No, but as the link states, even if part of a lie is true, it is all a lie anyway. Also I stated, which concurs with their second point, that this ‘became as God’ did not mean that they became gods, but that they received a divine attribute; namely the knowledge of good and evil. I have never used this scripture to try and prove that man can become gods because it does not state nor imply this thought. So I have said nothing different to that link except how many things Satan told Eve – they said 3, I said 2. They agree that Satan did not lie about the receiving of knowledge of good and evil because they did gain that knowledge, but they do state that because it was included in the lie, it too is a lie. C’mon, man. Your own “prophet” Brigham Young said Genesis was a “baby story”, and not true, so it was Moses who lied (a necessary component of Mormon “prophets” – telling lies – ends justify the means and all). Satan did not lie to them, everything he said was true. They really didn’t “die”, because they were spiritual beings, and Adam was God himself. It was all planned out. Satan was necessary in this instance, because Adam-God went there to specifically eat of the fruit and become mortal again so he could start up the machinery of providing bodies for his spirit children. Brigham also taught that devils were necessary and that apostates would someday fill that role, so the endless chain of gods will have devils to help them as they do the whole thing over and over again. In Mormonism, everyone is accountable for their own sins, not the sin of Adam. Therefore the “atonement” of Christ, all worked out in advance (endlessly – as long as the gods perpetuate their species) was about gaining a resurrection for those spirit children who were sent here and HAD to sin, to know good from evil. They, though, had to do their own “works” to attain exaltation, since the atonement of Christ is only good for a resurrection in Mormonism. Jesus was not unique, he was one of endless “Saviors” that play out the same role on every world for every god. I do not think it is my right or prerogative to point out the supposed defects of the Prophet Joseph Smith, or Brigham Young, or any other of the leaders of the Church. Let the Lord God Almighty judge them and speak for or against them as it may seem Him good-but not I; it is not for me, my brethren, to do this. Smith could not even admit to any defects, notice the use of the word, “supposed”. This is hilarious, the only guy who God WOULD speak through, says he won’t do it. This is what Mormon leaders do today. Brigham taught false doctrine, but that was not his fault, everyone misunderstood him, everyone else is wrong, and Brigham was a “mighty” prophet. What a mess. The point is, BH Roberts spoke the truth. But that isn’t good enough for Mormon “prophets”, you have to obfuscate, deny, and lie, and say nothing at all, even though members are begging for the truth, because “enemies” will take advantage if you tell the truth. This is why Smith also told the members of the 12 to stop writing things down in their diaries.